DETROIT—Few shows can inspire cross-generational hope for the future. But, when mother and daughter Mariana Bohn and Marissa, respectively, saw the Shen Yun Performing at at the Detroit Opera House on Jan. 3, they were filled with hope. 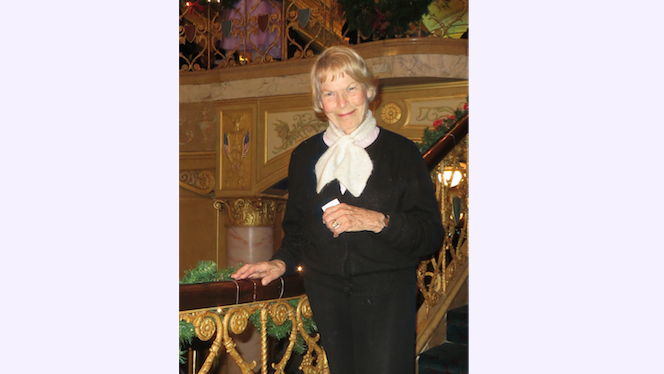 For Ms. Bohn, seeing Shen Yun this year was her first time, but her daughter had seen the show previously. “After she had seen it four times, she said: ‘Mother, you have to see it!’ And I’m so grateful she took me,” Ms. Bohn said. Shen Yun Performing Arts was founded in New York in 2006 as a nonprofit by a group of top classical Chinese artists who wanted to revive and share the true, traditional culture of China. This culture, richly woven over 5,000 years, has been almost entirely destroyed after over decades of communist rule in China. People talk about how soothing, calming, and pleasing Shen Yun is. This experience was no exception for this Marissa and her mother. This is beauty for all of us. She explained that the message was not religious, but was something higher than and superior to religions. “This is beauty for all of us,” she said. Ms. Bohn lived through World War II in Germany. She knows first-hand the power of hope and how that power can illuminate. Ms. Bohn has been living here in Detroit for 50 years, although she was only in high school, she was part of the underground movement. “We were the movement of hope,” she said. The underground was against the promise of a thousand-year Reich that never materialized. Ms. Bohn felt the choreography was outstanding, the music superior, but she was absolutely transfixed by the animated backdrops that served as scenery. “I’ve never seen scenery that has been so beautiful and I don’t know how they did it!” she said. “And Detroit is coming up so much in the arts and music and performance and dance and theater,” Ms. Bohn said. “It is excellent,” she said. Ms. Bohn sees the young people involved with this effort as the hope for the future. Shen Yun seeks to revive China's ancient culture, which was almost destroyed under the rule of the Chinese Communist Party.